Part of our mission in serving dogs owners like you is being the one stop resource for you and your dog loving home. Over the years we have worked to build relationships with who we have found to be the BEST pet friendly resources in the area, known as our “Pet Friendly Partners”. Many of them listed below provide a “Special Offer” to clients of DogiZone. Please continue to check back with us as we are constantly updating this with New recommendations. Disclosure: We do not own or operate any of the companies listed below. We and our clients review each company thoroughly and give high marks to only the very best. We are independently owned and the opinions expressed here are our own. 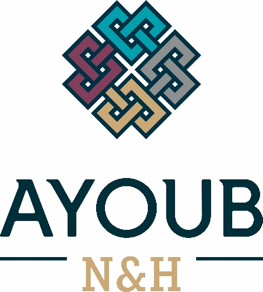 Ayoub N&H offers a wide range of rug, carpet and upholstery cleaning services tailored to pet owners, as well as the sale, installation and repair of carpet and hardwood flooring. Our 8,000 square foot facility allows us to focus on providing the highest quality cleaning service, as well as a comfortable shopping experience. Mention DogiZone to receive 25% off your first cleaning service! Partnering with you, your pet, and the planet to enrich the human and animal bond by providing products that are healthy, ecologically sustainable, and socially responsible. Bark! is locally owned and full of people as passionate about your pets as you are. Let our knowledgeable staff guide you to the best foods, treats and supplements for your animal companion. Pets welcome!" Invisible Fence Brand of Montgomery County provides indoor/outdoor solutions for pet safety, that give owners peace of mind and happier homes. $100 Off New Boundary Plus Installation. Ask us about dog doors! For over 19 years, Pet and Home Care has serviced over 3,500 clients and over 5,000 pets! We have earned and maintained an excellent reputation and have hundreds of great testimonials. Our award-winning Pet and Home Care service team has over 100 years of combined animal care experience and we understand how vital it is for your pets and home to have the highest quality professional care. With Pet and Home Care you can rest easy knowing that your dog, cat, bird, fish, ferret, reptile and/or other cherished pets will get the love, attention and personalized care from our devoted staff that they deserve whenever you are unable to provide it. We offer in-home pet care, dog walks, cat care, overnight sitting, and even home cleaning. Mention DogiZone to receive $25 off your first Pet or Home Care service! Since 1995 our educated and experienced team has been keeping pets healthy and their owners happy. Having served more than 300,000 pets, we are the #1 provider of teeth cleaning services without the use of anesthesia in the Washington DC Metropolitan area.